Thursday is series change day for a lot of Major League Baseball clubs. In the AL East, the Toronto Blue Jays will travel to Anaheim, and the Baltimore Orioles will travel to Tampa Bay. However, the big series in the closest division in baseball will involve the Boston Red Sox and the New York Yankees, a series that will come from Fenway Park. The two teams will play four games between Thursday and Sunday inclusive, one that has major swing potential in the standings. The Yankees currently sit four games back of Boston for first place in the division entering Thursday. With a sweep of the Red Sox, New York’s record would then be identical to Boston’s. However, at the other extreme, if the Red Sox should sweep, then the Yankees will fall 8 games back in the AL East. They would then be in a world of trouble heading into the final two weeks of the regular season. There are plenty of in-between scenarios, but the Yankees’ hopes of doing better than the Wild Card game really seem to hinge on the following four days. Unless they make up some ground, the Wild Card standings might become the primary focus. Heading into mid-September, a lot has been made about Gary Sanchez and everything that he has met to the Yankees recently. The catcher, in 37 games, has posted an OPS of 1.082 with an amazing 14 home runs since August 3rd. However, starting pitcher Masahiro Tanaka is a big deal as well. Tanaka will start against Boston on Thursday, and he has been excellent lately. The pitcher has won six straight decisions and so far in September he has an ERA of 1.98. The Yankees will be looking for him to keep them in the AL East pennant race with a strong outing on Thursday in a game that starts at 7:10 pm ET. The two rivals will meet at the same time on Friday with Luis Cessa the Yankees’ probable and Clay Bucholz Boston’s probable. Saturday’s game (1:05 pm ET) will likely feature Bryan Mitchell of the Yankees against the sizzling David Price. Lastly, the series will conclude with a nationally-televised game on ESPN’s Sunday Night Baseball presented by Taco Bell (8:08 pm). The probables for the series capper are expected to be CC Sabathia for New York and Drew Pomeranz of Boston. Scoreboard watching is certainly a big part of September, and both Boston and New York will be looking at both how Toronto does in Los Angeles and how Baltimore does in Tampa Bay. However, New York’s main nemesis right now is the team that they will share the field with. 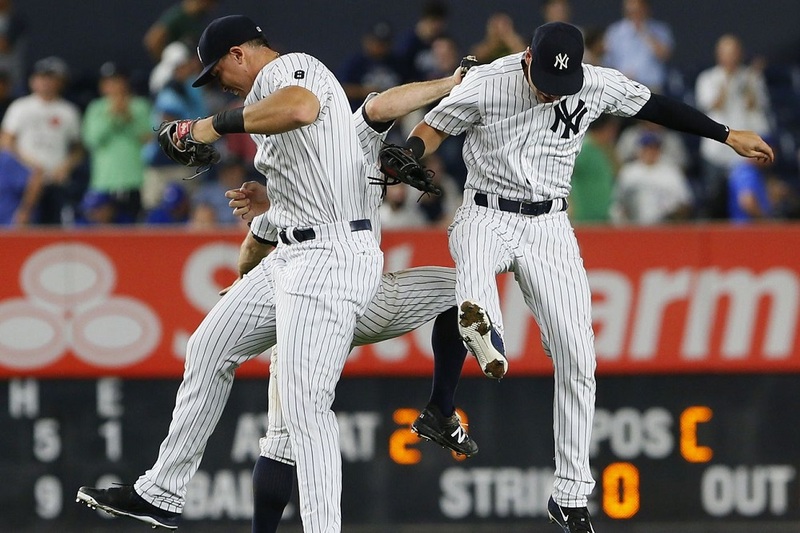 The Yankees are still in control of their own destiny, and the upcoming series is a chance to keep playoff hopes alive. Meanwhile, the Bo Sox have to be looking at the upcoming series as a chance to bury New York so deep in the AL East that they would become almost entirely non-threatening.